Italian Matteo Trentin scores his first victory of 2019 with a well-timed acceleration at the end of a hilly stage 2 in Spain. 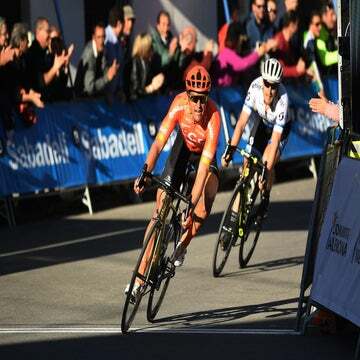 VALENCIA, Spain (AFP) — European champion Matteo Trentin timed his sprint to perfection to claim victory in stage 2 of Volta a la Comunitat Valenciana on Thursday. 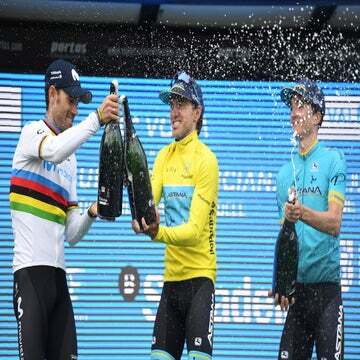 Trentin (Mitchelton-Scott) pulled away from Nacer Bouhanni (Cofidis) and Ben Swift (Team Sky) to clinch his first victory of the season while Edvald Boasson Hagen (Dimension Data) finished fifth to retain the overall lead. The Norwegian earned the overall lead in Wednesday’s short individual time trial. 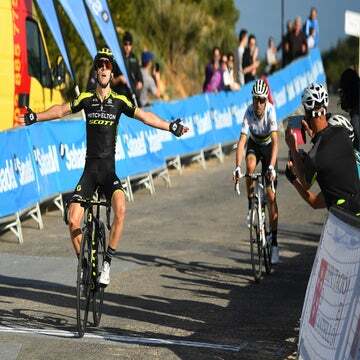 After 166 kilometers, starting in Alicante, Spain and finishing back in the center of the city, Trentin crossed the line in 4 hours, 10 minutes, and 12 seconds. Boasson Hagen holds a five-second lead over Ion Izagirre (Astana). Trentin’s crucial moment came on a right-hand turn just before the finishing straight, which the Italian navigated brilliantly to come out in front of Bouhanni, who had no time to recover. Earlier, Dylan Groenewegen had been dropped on the final categorized climb of Alto de Carrasqueta but the Dutchman’s Jumbo-Visma teammates hustled him back into contention with 15km to go. Team Sky also pushed a cluster of riders to the front, with Swift well-placed until Trentin made the decisive move. Swift was still comfortably clear of another Italian, Sonny Colbrelli (Bahrain-Merida), who finished fourth. The race continues on Friday with stage 3 between Quart de Poblet and Chera. The 191-kilometer race could shake up the overall standings with a Cat. 3 finish climb averaging 4.5 percent over 5.4 kilometers. It comes at the end of a day that includes five other categorized climbs.